According to recent studies, over 35% of Americans are suffering from obesity. In many ways, obesity is a singular health issue that needs to be combatted directly. But being overweight can have resounding effects on the rest of your body, especially your back. If you're overweight or obese, it's likely that you also suffer from back pain. But why is that so? In this guide, we'll discuss all the ways weight affects your back pain. How Does Your Weight Cause Back Pain? Obesity places extra weight and extra physical stress on your spine. The consequences of this manifest themselves in a variety of ways. We'll run through them all for you. Spinal discs are jelly-like pucks that sit between the vertebrae in your spine, providing much-needed cushioning. When you have extra weight on your spine as a result of obesity, these discs compress or slip out of place. This can be extremely painful, and the likelihood of herniating a disc increases if you're overweight. Osteoarthritis is the most common kind of arthritis in which the protective tissue between your joints degrades. Typically, osteoarthritis occurs as a result of aging, as everyone's connective tissue breaks down over time. Obesity can accelerate this process because your added weight puts your joints under more pressure. This can inflame your connective tissue and make the friction of your joint movements degrade your connective tissue faster. To maintain a healthy spine, it has to maintain a healthy curvature to adequately distribute your body's weight. A healthy spine has a slight inward curve at the lower lumbar region and an outward curve at the upper, thoracic region. Obesity can lead to a condition called lordosis, or "swayback." With lordosis, your lumbar spine's inward curve is accentuated. This happens to counter-balance your increased weight, but it puts excessive strain on your lower back. If you're struggling with obesity, it's at least partially due to inactivity. If you spend most of your days sitting in uncomfortable office chairs or sinking into a couch, your back is likely to suffer more. Like any other muscle group, the muscles around your spine need activity to stay strong, and if left untrained these muscles will atrophy. This will only make you more prone to back injury. Oftentimes, results in a vicious cycle in which you have back pain because you're inactive, and you're inactive because you have back pain. It's important to try to break this cycle, whether you're obese or not. Need Help Shedding Weight and Fixing Your Back? Obesity can do serious damage to your back, but by losing the weight, you can begin reversing your back issues. It's imperative that you try. If you need assistance losing weight and managing your back pain, learn more about the weight loss services that we provide. 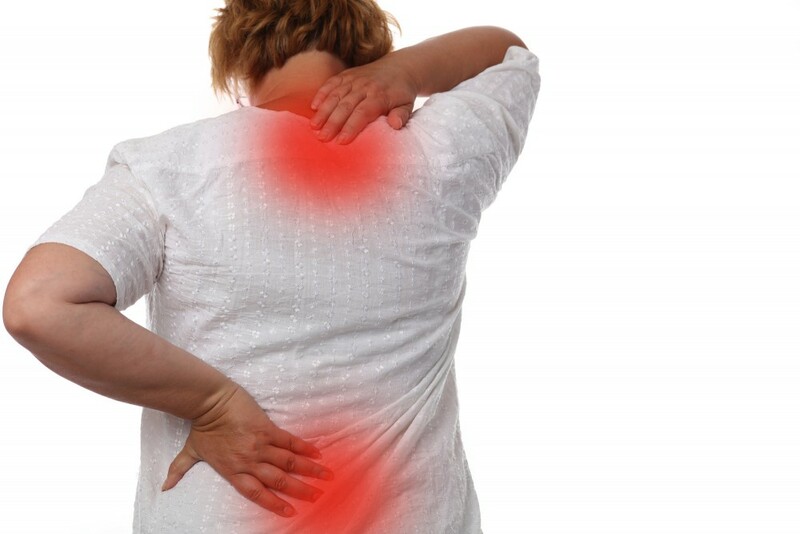 We strive to not only help our patients relieve their back pain but help alleviate the cause as well.